A Nexus 5 successor has finally been revealed! With the latest LG Nexus 5X, Google has partnered with LG to create the much awaited device and pack it with all the specs that define what being a Nexus device is. 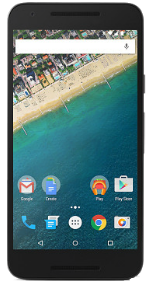 The LG Nexus 5X comes with a 5.2-inch IPS LCD display with a 1080x1920 resolution and 423ppi density. It runs on a 1.8GHz Hexa-Core Qualcomm Snapdragon 808 processor with 2GB of RAM, Adreno 418 GPU, and a built-in memory of 32GB. The phone has a couple of cameras—a 5MP front-facing sensor and a 12.3MP rear-facing camera with 4K video recording. It is packed with a non-removable 2700mAh Li-Po battery with a micro USB Type-C port for charging, fingerprint scanner, and Android Pay support. The LG Nexus 5X is available in Carbon, Quartz, and Ice color options. It runs on the latest Android 6.0 Marshmallow OS upon unboxing. What we can expect to see featured in the upcoming 2015 LG Nexus 5X. 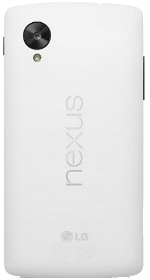 The Nexus 5X is here! While we work hard on the review, savor our impressions of the rebirth of the Nexus 5! Nexus 5X vs iPhone 6S Plus vs OnePlus 2: Fingerprint Scanner Speed Test! What's changed from the original Nexus 5? The new Nexus 5X is LG's first attempt at recreating the magic the Nexus 5 once had. How much faster is Nexus 6P than Nexus 5X? A speed test comparison between the Google Nexus 5X and Google Nexus 6P. As 2015 comes to an end its time to gather together the best of. Android N Developer Preview 4: What's New? The fourth developer preview of Android N doesn't include many new features. Get a Free LG L413 when you switch to Straight Talk.